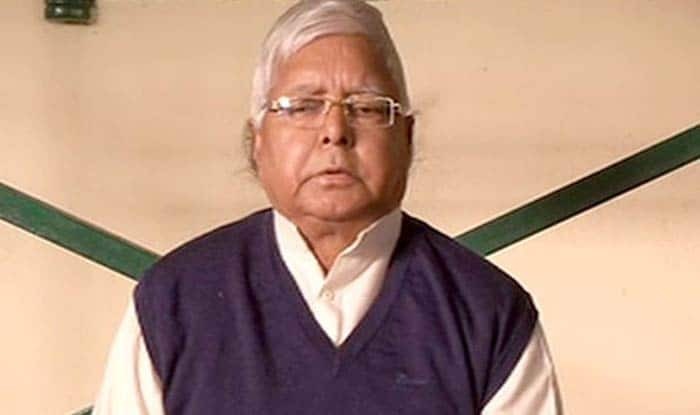 The CBI rejected Lalu Prasad's bail plea in the fodder scam case claiming that the RJD chief has sought for the bail in the garb of political activities during the elections. New Delhi: The Central Bureau of Investigation (CBI) on Tuesday has filed a counter affidavit in opposition to the bail plea of former Bihar chief minister and RJD chief Lalu Prasad Yadav in the fodder scam case. The CBI, in its counter affidavit, stated that in the garb of political activities during the elections, Lalu sought for bail, which should not be granted. Lalu Prasad had sought the plea on medical grounds. The CBI stated that the Rashtriya Janata Dal leader wanted to actively participate in the political campaigning and activities related to the Lok Sabha elections starting April 11, and his medical reasons are just excuses. The counter affidavit was filed by a CBI advocate who sought courts permission before opposing Lalu Prasad’s bail plea. The advocate further claimed that the former Bihar Chief Minister had in the garb of illness successfully managed to spend most of his jail time in a special hospital ward ever since his conviction in the fodder scam case. While in hospital, Lalu Prasad Yadav was visited by many top-level politicians. The CBI said Lalu conducted political activities from the special ward in the hospital. According to reports, Lalu had allegedly attempted to give a false impression that he was sentenced to just 3.5 years of imprisonment in the fodder scam cases. However, the truth is that he has to serve a jail term of 27.5 years. In December 2018, Yadav had challenged the order of the Jharkhand High Court which had rejected the bail application filed by him. In August 2017, Yadav surrendered before a special CBI court in Jharkhand after the state high court dismissed his bail plea. He was granted temporary bail for six weeks on May 11, 2017, for undergoing treatment. However, the extension of the provisional bail was rejected by the Jharkhand High Court. The cases pertain to fraudulent withdrawals from state treasuries by Animal Husbandry Department officials between 1991 and 1996 when Yadav was the Chief Minister of undivided Bihar.